Last night I made two Easy Chocolate Chip Cheesecakes (click here for recipe). They’re beautiful, although they did crack a little bit. If I were entering them in a show (which I’m not) it would matter that they cracked but they’ll still be delicious. I promise. It’s my most requested recipe to bring to parties. Today I’m planning to make my Easy Homemade Italian Bread. It’s so good and homey and Italian-y. It’s not the crusty, rock-hard rustic bread that you have to dip into soup or sauce to soften in order to eat but the nice big fluffy one that you can still put your teeth into without triggering TMJ. Don’t let the written appearance fool you… it really is very easy. On Christmas morning every year I make cinnamon rolls for breakfast. It’s one of our favorite traditions. I originally got this recipe from Allison M. Dickson, a friend and wonderful fictional writer that you really MUST look up on Amazon. She writes some fantastic short stories. This Cinnamon Bun recipe is what inspired my Snickerdoodle Cookie recipe. I love snickerdoodles, but I needed one that was chewy enough and cinnamon-y enough… and what I really wanted was for them to taste like mini cinnamon buns. I usually make snickerdoodles for Christmas but lost track of the time this year. I’ll have to make them on the 26th. I’m sharing the recipes of course, but I don’t have nutrition information. If you go to SparkPeople.com I think you can plug recipes in there and it will give you nutrition information for individual servings. It’s been a while since I’ve been over there. Warm oven to 200* for five minutes, then turn it off. You will need the oven to have a warm and non-drafty place to rise and rest the dough. In large bowl, stir together sugar, salt, yeast, and water. Allow the yeast to proof (produce bubbles and bloom). Add in the butter or olive oil. Add flour by the half cup, turning it with a fork, just until there’s enough flour for the dough to be soft and kneaded by hand. Turn dough out of medium-large bowl onto a lightly floured surface and knead for 8 minutes, adding more flour as you go if the bread becomes sticky. Bread should become smooth and pliable. Put the dough into a medium sized bowl that’s been greased with vegetable oil and turn the dough until all of it has been greased. Cover the bowl with a clean, slightly damp (warm) kitchen towel and let set for 30 minutes in a warm, draft-free place. If you’re using a baking sheet, grease it lightly. Sprinkle baking sheet with cornmeal, if desired. If you’re using a flat baking stone, do not grease it but simply put cornmeal on it if desired. Remove the dough from the bowl onto a lightly floured table and cut into equal halves. Roll each dough half into a 15/16 X 9-inch rectangle, tucking dough from the long sides tightly under the bottom. Be sure to pinch from underneath to the ends or the dough will open up during baking and flatten out the loaf. When folding and pinching is done, the loaves should similar to footballs. Allow the dough to rise in the still-warm oven for 15-20 more minutes, then remove from the oven. Heat the oven to 425*F.
On top of each loaf, using a non-serated knifed, cut three diagonal slits. Tightly roll dough along the 15-inch side. Pinch seams and taper the ends of each loaf. Place loaves on baking sheet. Cover and let rise in warm, draft-free place for only 20 minutes. Preheat oven 425 degrees F. Make 3 deep diagonal slashes on each loaf. Using a pastry brush, lightly but firmly baste the tops of the loaves with the egg wash.
Bake bread for 25 minutes, or until bread is browned and makes a hollow thumping sound when tapped firmly. In a small bowl, combine 1/8 C sugar and 1/8 C cinnamon, blend well, then set aside. Beat together shortening and 1 1/2 cups of sugar. 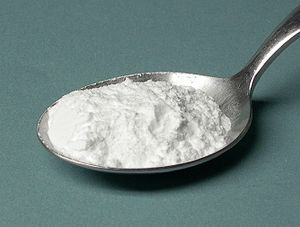 Combine flour, cream of tartar, baking soda, and salt. Beat dry mixture into egg mixture. Taking about 1 tablespoon of dough per cookie, roll the dough into balls, then roll each ball into the cinnamon sugar, coating completely. Set onto an ungreased cookie sheet, about 2 inches apart. You should be able to fit 12 balls of dough on the cookie sheet. Allow to cool on cookie sheet for a minute or two, then remove cookies to a sheet of wax paper on the counter OR a cooling rack. (Allison Dickson)To make things more convenient, melt all 8 tablespoons of butter for the recipe at once and measure out as needed. 1. Adjust oven rack to upper-middle position and heat oven to 425 degrees. Pour 1 tablespoon melted butter in 9-inch nonstick cake pan; brush to coat pan. Spray wire rack with nonstick cooking spray; set aside. 2. To make cinnamon-sugar filling: Combine sugars, spices, and salt in small bowl. Add 1 tablespoon melted butter and stir with fork or fingers until mixture resembles wet sand; set filling mixture aside. 3. To make biscuit dough: Whisk flour, sugar, baking powder, baking soda, and salt in large bowl. Whisk buttermilk and 2 tablespoons melted butter in measuring cup or small bowl. Add liquid to dry ingredients and stir with wooden spoon until liquid is absorbed (dough will look very shaggy), about 30 seconds. Transfer dough to lightly floured work surface and knead until just smooth and no longer shaggy. 4. Pat dough with hands into 12X 9-inch rectangle. Spread filling over, roll lengthwise, and cut into 8 even pieces, and arrange buns in buttered cake pan. Brush with 2 tablespoons remaining melted butter. Bake until edges are golden brown, 23 to 25 minutes. Use offset metal spatula to loosen buns from pan; without separating, slide buns out of pan onto greased cooling rack. Cool about 5 minutes before icing. 5. To make icing and finish buns: While buns are cooling, set rack with buns over baking sheet. Whisk cream cheese and buttermilk in large nonreactive bowl until thick and smooth (mixture will look like cottage cheese at first). Sift confectioners’ sugar over; whisk until smooth glaze forms, about 30 seconds. Spoon glaze evenly over buns; serve immediately. This morning was a rough morning. We usually stretch out the summer skirts for The Girl as long as possible since she loves wearing them so much. This year seems cooler sooner than the last couple of years, so we’re transitioning her a little sooner into pants. She’s not happy. Part of the bribery process was telling her I would make something with the can of pumpkin that I bought for her a few days ago. She kept asking for Tollhouse chocolate chip cookies but the chips have milk in them, so I kept trying to get her to choose a pumpkin recipe. For pants? She wants chocolate. I told her that if she can wear pants every single day this week without having a meltdown then I’ll make her a batch of Tollhouse on Saturday. I was going to research a pumpkin recipe after the girls got home from school so that she could help me find something and expected her to ask for the Libby’s Iced Pumpkin Cookies, but I got a call from the pediatrician asking why I didn’t bring the two youngers in for their flu shots yesterday. Oops. If you ever read my entry from last year’s flu shot drama, you’ll understand why I enlisted help from my husband this year. It still wasn’t pleasant but at least I had some muscle with me this time for The Girl. The Eldest already had hers last week at her physical, and The Youngest took hers like a champ. It was Meltdown City for The Girl, however, and she was the Meltdown Mayor. It still wasn’t as bad as last year. I think it’ll be difficult to ever top last year. When it was over, he sort of looked like a dear in the headlights. He sat in the car, looking a little stunned to me. I chattered on and on about how well it went and how good the girls were. The Eldest and The Youngest commented on how that was the easiest, least dramatic year ever. Again… stunned. When we got home, The Girl decided on pumpkin muffins and I found the best recipe ever. She ate three already, maybe four. The recipe made 24, for crying out loud. I think that’s a pretty good reward for being so good (relatively speaking). I mean, this year I came away without any bruises from the event. That’s a win. No one bled profusely. That’s a win too. Only one child cried. Another win. The child that cried is still talking to me. All around win. 1. Preheat oven to 350 degrees F (175 degrees C). Grease or line 18 muffin cups with paper liners. 2. Combine 2 1/2 cups flour, 1/2 cup oats, pumpkin pie spice, baking soda, baking powder, and salt together in a bowl. Whisk pumpkin puree, 1 cup brown sugar, white sugar, vegetable oil, applesauce, eggs, and vanilla extract together in a separate large bowl. Stir flour mixture into pumpkin mixture; mix well. Fold in raisins. 3. Beat 1/4 cup brown sugar with butter in a bowl until creamy and smooth. Whisk 2 tablespoons oats and 2 tablespoons flour, using a fork, into sugar-butter mixture until streusel topping is crumbly. 4. Pour the batter into the prepared muffin tin. Sprinkle each muffin with streusel topping. 5. Bake in the preheated oven until a toothpick inserted in the center of a muffin comes out clean, 25 to 35 minutes. I’m making these for supper per child request. Two of my kids love breakfast for supper, and it’s been a while since we’ve had waffles. I found this recipe for waffles on AllRecipes.com more than five years ago and it’s my go-to recipe. I don’t make any other waffle recipes. It’s easy and delicious, which is what I need. I love that I can make this for the girls and keep it lactose-free for my middle daughter too just by using her Lactaid milk. I do like to clabber the milk with some lemon juice. I suspect that these can easily be made gluten-free for those who have Celiac Disease. I actually just found a gluten-free cooking blog called Gluten Free Cooking School (ckick here) and she actually has a recipe for gluten free flour mix (click here) that she uses for pancakes. Jessica’s Notes: Added 1 TB sugar to flour mixture; reviews of the recipe on AllRecipes suggested 3 TB sugar + 1 tsp of vanilla to sweeten up waffles but 1 TB was delicious & still appropriate for the waffles to be either savory or sweet. EDIT: These really are great waffles. I’ve blogged about them twice now. I successfully alter this recipe using lactose-free milk (NOT soy milk) and add a touch of lemon juice or vinegar to clabber it. If I have enough butter, I use butter over shortening because it tastes better. When I bring it somewhere like a class party or to someone’s home I like to pre-slice it and then sprinkle it with a dusting of powdering/confectioner’s sugar. Since I use a bunt pan, I add the batter in layers so that between layers I can sprinkle “extra” cinnamon sugar and then swirl it with a knife. It turns out better that way and actually swirls nicely. In large mixing bowl, cream shortening & sugar. Add eggs, one at a time, beating well after each addition. Beat in vanilla. Combine flour, baking powder, baking soda & salt; add to creamed mixture alternately with buttermilk. Spread half of the batter in two greased & lightly floured 8″ x 4″ x 2″ loaf pans. Combine cinnamon & sugar; sprinkle half over batter. Spread remaining batter; sprinkle with other half of cinnamon-sugar. Bake at F. 350 for 50-55 minutes or until a toothpick inserted in center comes out clean. Cool for 10 in pans before transferring to wire racks to cool completely. Makes 2 loaves. 1. Successfully made this recipe in a bundt pan & treated it like a “cake” recipe; excellent this way and serves beautifully for company; also delicious thinly sliced, then toasted and dabbed with cream cheese. 2. Also successfully made this recipe using half whole wheat flour, and soured fat free milk (added 1 TB white vinegar to milk) and not buttermilk.